I am frequently asked why our parent company, Vedanta, has been so particularly active in expanding its interests in zinc, one of the four old base metals traded on the London Metal Exchange. The answer is straightforward: we are confident in the future demand for the metal, particularly in important developing economies such as India, Vedanta’s home country. Though it might appear paradoxical, the zinc market is driven more by supply factors than by considerations of demand. And this helps explain why the metal’s price did not fall as rapidly as the other base metals, as commodities traversed their latest cyclical downturn. 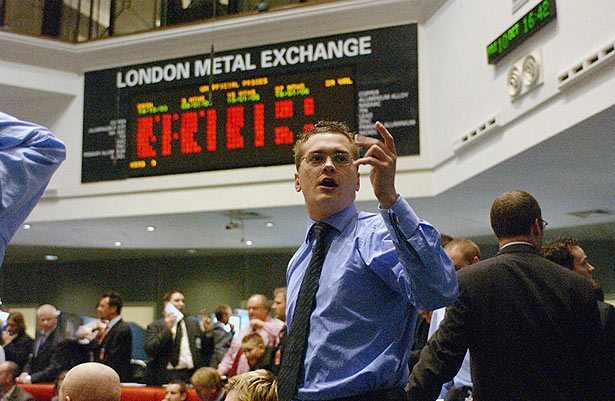 At the start of 2015, spot zinc was trading in the region of $2,250 per tonne on the London Metals Exchange. It fell to a 5-year low of $1,527/t during November last year, but has since recovered, to reach $1,900/t on May 27. To explain why the zinc market is driven by supply, it is worth looking at recent developments among the primary producers. As the price weakened over the past three years, some 1.6 million tonnes (mt) of mine capacity was either idled or closed permanently. This included our Lisheen mine in Ireland which produced an annual 165,000t of zinc metal in concentrate, Xstrata’s Brunswick and Perseverance in Canada (350,000t combined) and the 350,000t Century operation in Queensland, to name but a few. These closures were further exacerbated by Glencore’s announcement in October last year that it planned to suspend 500,000t of production. This output loss has yet to be fully replaced, and the development of new mines is being restrained by limited capital to invest in new projects due to what has been deemed to be marginal/low-grade deposits in the past, constrained balance sheets as well as banks’ reluctance to lend for long-term projects at a time when they see little prospect of metals prices increasing. The extent of the loss might well be seen in the context of our 13.5mt best estimate of current global production – a “best estimate”, as production in China, which absorbs about half of the world’s entire production, is a closely guarded secret. However, the International Lead and Zinc Study Group has estimated that China produces some 60% to 70% of its own needs. Irrespective of how quickly China’s zinc requirements increase – the estimate is annual growth of between 1.3% and 1.8% – demand for basic items such as galvanised steel can be expected to grow even more strongly as India, the world’s second most-populous country, accelerates its major infrastructural and housing developments. At present, India uses between 1.5mt and two million tonnes of zinc each year, something like a third to a quarter of China’s consumption. The scope for Indian demand for zinc remains positive as the country’s economy expands. Around half of the world’s zinc production is destined for galvanising, and not just for such commonplace products as corrugated iron or vehicle chassis. Demand for galvanised steel as a frame for solar panels, for example, is increasing by leaps and bounds. And new markets, such as those for agricultural fertilisers and pharmaceuticals, are developing in parallel. The production losses due to the mine closures I mentioned earlier have not yet been fully replaced and the production-consumption deficit has contributed to the halving of stocks of zinc in concentrates warehoused in New Orleans over the past six months. They currently stand in the region of 380,000t or some 11 days of global needs. Vedanta Zinc International is not deterred by the commodities cycle and is continuing with the construction of the Gamsberg Zinc Project, at Black Mountain Mining located in the Northern Cape. Gamsberg, one of the world’s largest undeveloped zinc resources, is our flagship project. The project has a three year construction period and, at full capacity, annual zinc metal in concentrate production is expected to reach 250,000t. The first phase of the Gamsberg Project is planned to replenish lost production from our recently closed Lisheen mine.